We’ve been lucky to be involved in some pretty incredible events over the years, but never one as unique and exciting as this one! A twilight yoga session with visiting dinosaur Dippy. 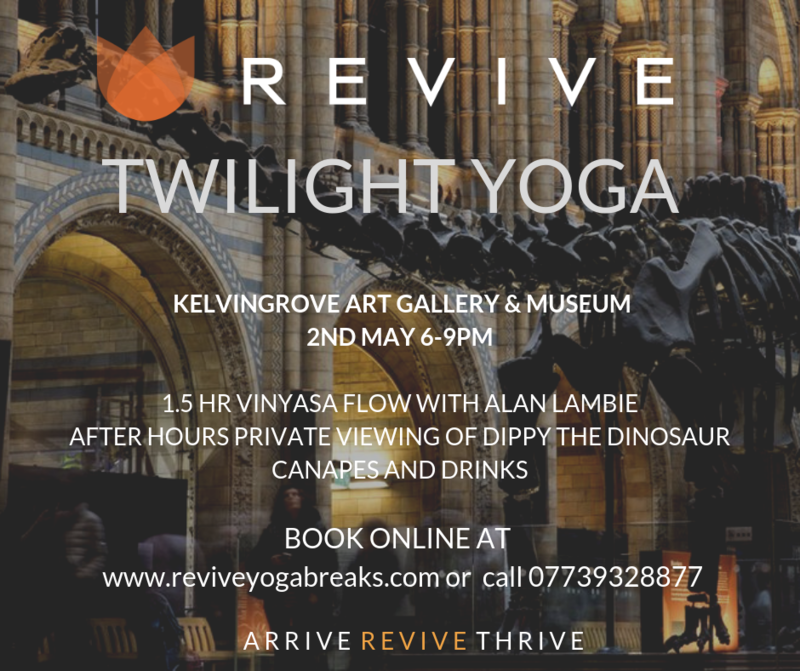 A unique chance to practice yoga in the beautiful Kelvingrove Gallery followed by Revive vegan/veggie nourishing food & drinks.